There is nothing ordinary about this Kings Beach holiday accommodation. For a holiday that is totally memorable, Burgess @ Kings Beach offers two and three bedroom fully self contained apartments that make you rethink your idea of spacious. The apartments at Burgess @ Kings Beach are luxuriously huge, with superb fittings and furnishings, and the tariffs are surprisingly affordable. Located at 70 Albert Street, Caloundra, Burgess @ Kings Beach has a spectacular vantage point with views looking towards Shelly Beach and Kings Beach. 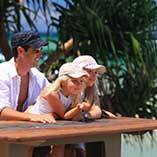 Depending on your requirements, a visit to Kings Beach is eminently suitable for families with younger kids. 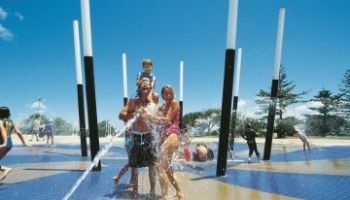 The Kings Beach foreshore is equipped with shade sails, a 25-metre sea-water lap pool, children’s swimming pool and wading area which are free to visit. There is a convenient range of restaurants that offer outdoor dining on the beach, as well as the Kings Beach Tavern that overlooks the amphitheater. If you get your timing right, you can enjoy the foreshore activities and live music. 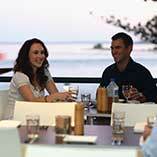 Caloundra is a very handy place to launch your Sunshine Coast holiday adventure. 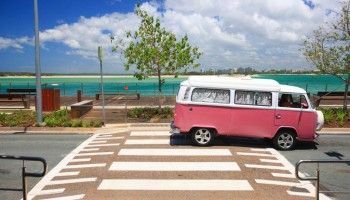 Travel north along the Sunshine Coast, and you don’t have to go very far and you will find the beach towns of Maroochydore and Mooloolaba. Each has it’s special charms. 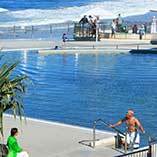 Maroochydore with it’s river delta and network of rivermouth islands that straddle river and ocean, and the beach life at Mooloolaba. There’s also Underwater World Sea Life in Mooloolaba as well where you can catch a number of shows and performances, and view some incredible aquatic environments from a safe and dry vantage point. Or you can swim with the sharks if you choose. 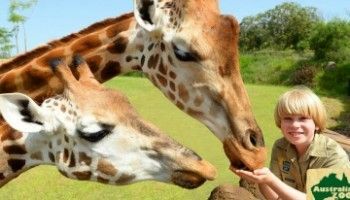 For the ultimate animal encounter on land, Australia Zoo is the clear favourite. At just under half an hours drive inland to Beerwah, the Australia Zoo needs no introduction. For apartments less ordinary, this Kings Beach holiday accommodation, Burgess @ Kings Beach deserves your full attention. Book now.